As she and her mother discussed in their episode of My Daughter Is A WWE Superstar, Jax was born in Australia and grew up in Hawaii and California. She played basketball and baseball as a kid but started playing those sports on boys’ teams since there were no teams for girls in her area. Jax was bullied for being bigger and heavier than a lot of her peers, but one day, while playing basketball, she was scouted to become a plus-size model. After spending some time modeling in New York, she graduated from college with a degree in business. Just from her pre-wrestling accomplishments, it’s easy to see how Jax ended up with the “not like most girls” catchphrase. Nia Jax was inspired to pursue a pro wrestling career when she went to see her cousin The Rock wrestle John Cena at WrestleMania 28 in April 2012. She wondered aloud if she could wrestle, and The Rock’s mother—who she was sitting next to—encouraged her to do it, saying WWE could use a woman like her. Jax started training hard and was signed to WWE’s developmental territory, NXT, in early 2014. Her impending arrival on the NXT TV show was hyped with a series of mysterious, ominous vignettes, which she lived up to with a winning streak after she debuted in October 2015. Jax, allied with Eva Marie, soon started feuding with Bayley for the NXT Women’s Championship. She failed to win the title at NXT TakeOver: London but soon worked her way back into the title picture. She injured Bayley soon after she lost her title to Asuka, preventing the self-proclaimed hugger from wrestling her contractually-obligated rematch. Jax then won a triple threat to become the number one contender to Asuka’s championship (for a match at NXT TakeOver: The End in June 2016) but failed to defeat the then-undefeated “Empress of Tomorrow.” History would later repeat itself when the two faced off for on the main roster. After being drafted to RAW during the 2016 WWE Draft—the beginning of the brand split—Jax on a winning streak against largely local competitors, before moving on to defeat Alicia Fox in her first official main roster feud. Jax was also a member of the female Team RAW at Survivor Series 2016, and her dominance, size, as well as the fact that she had recently been called up from NXT (and hadn’t been scouted yet by most of the Team SmackDown wrestlers) made her a wildcard challenge for the blue brand. After a feud with Sasha Banks, Jax got close to the RAW Women’s Championship several times in 2017, but gold still eluded her. She was first eliminated in a Fatal 4-Way elimination match for the title at WrestleMania 33, failed to win a gauntlet match for a title shot in June, and then failed to win a Fatal 5-Way for the title at No Mercy. She was again a destructive force on the RAW women’s Survivor Series team but, this time, she was eliminated by count-out. The most meaningful development for Jax going into 2018 was her friendship with Alexa Bliss. Together, they mocked Mickie James for being old (before James returned to Team Bliss) and were generally nasty to the other women on RAW. But Jax became a much more sympathetic character when she (along with the WWE Universe) overheard Bliss and James insult her and their “friendship,” making fun of Jax’s weight and size. Jax defeated her former friend for the RAW Women’s Championship at WrestleMania 34 and retained it in their rematch at Backlash. 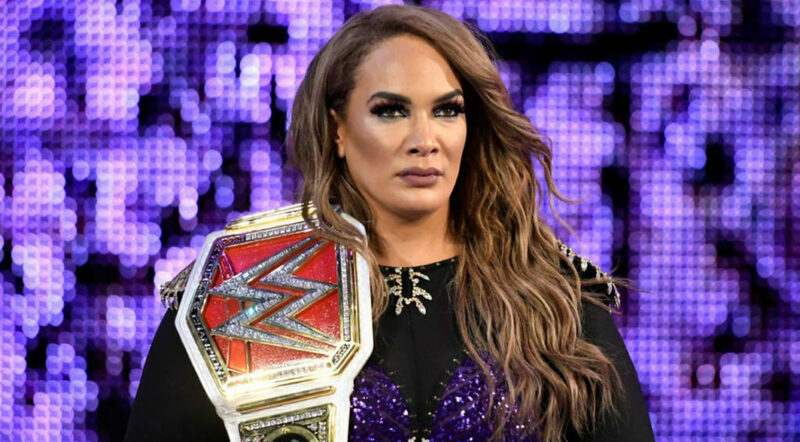 On WWE programming and elsewhere (Curvy Con, Total Divas, and New York Fashion Week), Nia Jax spread a message of body positivity and staying true to herself wherever she went, in and out of character. While that’s still a goal for the real-life wrestler, we’ve recently seen the “Irresistible Force” return to her old ruthless ways on RAW. 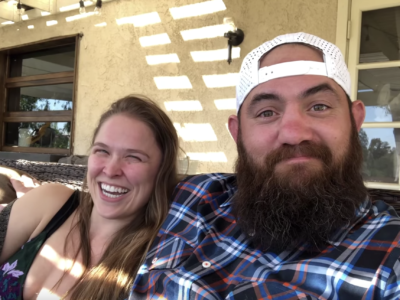 First, Jax offered Ronda Rousey a shot at her title at Money in the Bank, when Rousey was fresh off beating Triple H and Stephanie McMahon at this year’s WrestleMania. The women went hard in the match but were interrupted when Alexa Bliss—who had won the MITB briefcase earlier on the same show—interfered and attacked both women, then cashed in her contract and won the RAW Women’s Championship. Jax failed to win back the title and was absent from WWE TV for a little while. She returned to team with Ember Moon, seemingly back to fighting the good fight… but soon turned on Moon to form an alliance with her cousin Tamina. Over the past few months, Nia Jax has re-established her dominance in the RAW women’s division in a few different ways. First, she won the battle royal for a future championship opportunity at Evolution. Then, during the SmackDown women’s invasion of RAW before Survivor Series (led by champion Becky Lynch), Jax punched the extremely popular Lynch in the face. After the incident, Lynch was not medically cleared to compete in her highly-anticipated Survivor Series match against Rousey, and Nia Jax had a new nickname: “The Facebreaker.” At Survivor Series, Jax was the sole survivor for Team RAW. In fact, she confidently pinned Asuka (finally) after a leg drop to pick up the win for her brand, to the audience’s dismay.